The rule for choosing dining room chairs have changed. Having all dining chairs match is no longer a style necessity. While you might want to consider selecting pieces with a similar design element, having them match your dining room table is not necessary. Want a more formal dining chair setting? Try mixing more causal side chairs with stately wing back or arm chairs. Our collection of dining chairs include both light and dark finishes made of fabric, wood or acrylic and compliment any décor. BEIGE ANAHEIM BARSTOOL The Anaheim Bar Stool has a plush backless seat, stunning vinta..
Modern Coastal Arm Chair This Ariston Acrylic Arm Chair from Pacific Home Furniture is ..
Acrylic ChairPacific Home Furniture’s Ariston Acrylic Chair is a versatile chair for any r..
Atlantic Beach Wing Dining ChairPacific Home Furniture’s Atlantic Beach Wing Dining Chair ..
Atlantic Beach Wing Dining Chair The Atlantic Beach Wing Dining Chair in our sun bleach..
Boca Chair Kubu- Pacific Home Furniture’s boca chair boasts a natural K..
BURBANK BAR CHAIR BEIGE The Burbank Bar Chair has a plush seat with beige polyest.. 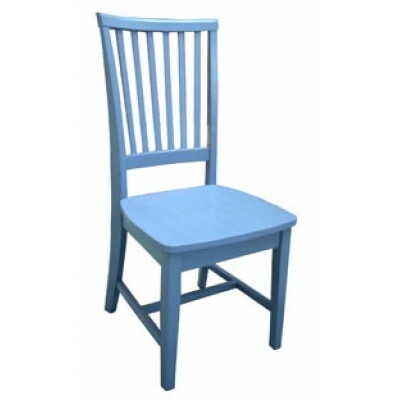 Dining ChairPacific Home Furniture’s Cathy Chair is a perfect dining chair.Material.. Chair - Coastal Cottage CollectionThe Double X Back Chair @ 24H is a no nonsense seat offered by..
Bar Stool - Coastal Cottage CollectionThe Double X Back Bar Stool @ 30H is a no nonsense seat of..
Side Chair - Coastal Cottage CollectionThe Double X Back Side Chair offered by Pacific Home Furn.. Chair - Coastal Cottage CollectionPacific Home Furniture’s Empire Side Chair with Rush Sea..
Bar Stool - Coastal Cottage CollectionThe Empire Bar Stool @ 24H offered by Pacific Home Furnitu..
Coastal Bar Stool - Coastal Cottage CollectionThe Empire Bar Stool @ 30H offered by Pacific Home..
Side Chair - Coastal Cottage CollectionPacific Home Furniture’s Empire Side Chair is build.. Dining Chair Pacific Home Furniture’s Evan Dining Chair is an elegant addition to.. Arm Chair Gosia Arm Chair from Pacific Home Furniture is an elegant addition to your di..
Key West Dining Chair Our Key West Dining Chair is nicely padded and fully upholstered .. Dining Chair The Louis Arm Chair is one of our most popular dining chairs. Featuring a ..
White Side Chair Medallion Side Chair from Pacific Home Furniture is an elegant additio..
Orange Linen Tufted Back Side Chair The Medallion Tufted Back Side Chair is a bea..
Lovely Yellow Linen Tufted Side Chair Pacific Home Furniture’s Medallion Tufted B..
Casual Dining Chair - Coastal Cottage CollectionThe Mission Arm Chair from Pacific Home Furnitur..
Barstool - Coastal Cottage CollectionThe Mission Barstool @ 24H from Pacific Home Furniture is p..
Mission Barstool - Coastal Cottage CollectionPacific Home Furniture's Mission Barstool @ 30H..
Side Chair - Coastal Cottage CollectionPacific Home Furniture’s Mission Side Chair is perf..
Beach Dining Chair-The Nauset Beach Dining Chair from Pacific Home Furniture features a Hand-car.. Arm ChairOleg Arm Chair from Pacific Home Furniture is an elegant addition to your dining room o..
Beach Dining Chair The Pacific Beach Side Dining Chair, with its simple yet elegant sli..
Pacific Beach Dining Chair The Pacific Beach Side Dining Chair from Pacific Home ..
Natural Kubu Paris Dining Chair Set Casual and quaint, this set of rattan-fra..
Blue Paris Bistro Dining Chair Set This set of two rattan-frame dining chairs from..
Green Paris Bistro Dining Chair Set This pair of rattan-frame dining chairs from P..
Yellow Paris Bistro Dining Chair Set These rattan-frame dining chairs (set of..
Parisienne Cafe Chair Parisienne Cafe Chair from Pacific Home Furniture is an elegant a..
Parisienne Cafe Chair Parisienne Cafe Chair from Pacific Home Furniture is an..
PASADENA BAR CHAIR BEIGE The Pasadena Bar Chair has a plush seat with beige polye..
Nailhead Dining Chair Striking, yet understated, this dining chair is the perfect match..
X Back Side Chair - Coastal Cottage Collection....The Single X Back Side Chair from Pacific Home..
Beach Dining Chair-The Sunset Beach Dining Chair from Pacific Home Furniture features a woven ca.. Arm Chair - Coastal Cottage CollectionPacific Home Furniture’s Tradd Arm Chair is versatil..
Side Chair - Coastal Cottage Collection....Pacific Home Furniture’s Tradd Side Chair is ve..